With ¡MAYDAY!’s Take Me To Your Leader available for pre-order, the Miami collective unleashed the dangerous and apocalyptic visuals of “Death March” with an official music video. 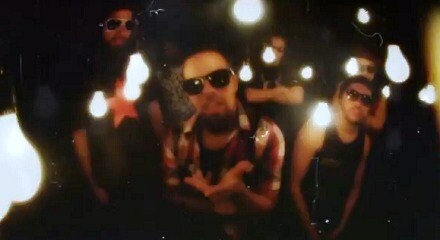 Directed by Bernz and Wrekonize, the music video combines the band’s unique taste for the unorthodox with the exceptional film work that ¡MAYDAY! has come to be known for. Following the video’s release, fans all over the web began buzzing as the “Death March” music video went viral and spread ¡MAYDAY!’s presence as they prepare to drop their Strange Music debut. Be sure to check out “Death March” and click here to pre-order Take Me To Your Leader. Are you pre-ordering Take Me To Your Leader?